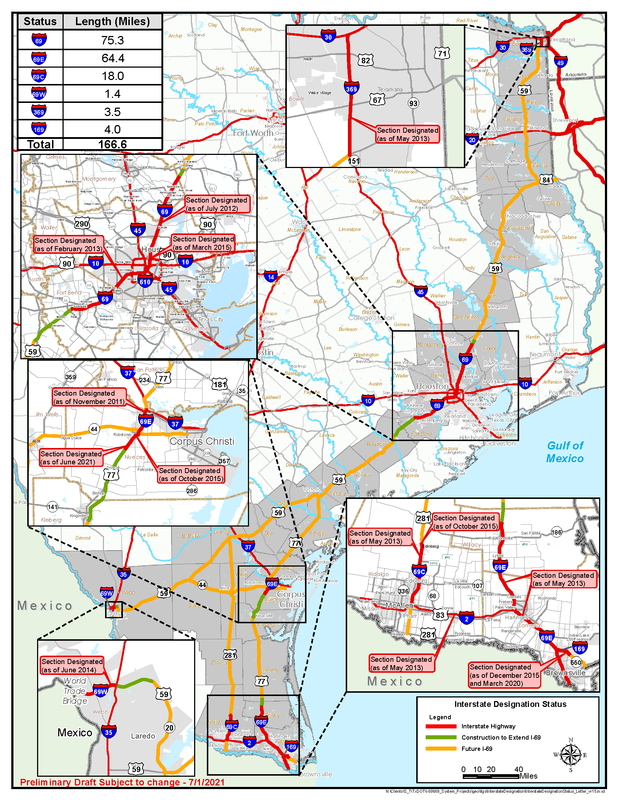 In March 2008, the Texas Transportation Commission authorized the creation of an I-69 Advisory Committee. This committee, composed of volunteers from I-69 corridor communities, advises TxDOT on I-69 issues and priorities and engages regional and local stakeholders on I-69 status and project development. Recognize I-69 as critical to Texas. Achieve interstate designation as quickly as possible. Maintain public input as an essential part of all future work. Maximize the use of existing highways while seeking to reduce program costs and impacts to private property. Address safety, emergency evacuations and emergency response needs. Pursue flexibility and efficiencies in design and construction requirements. Encourage initiatives that will supplement limited highway funds.